As part of the College’s Communications Strategy each of the six years has a Core Group (CG) which is made up of 10-12 parents with each of the classes being represented. The main purpose of the CGs is to allow a two-way exchange of information between the college and the parents. 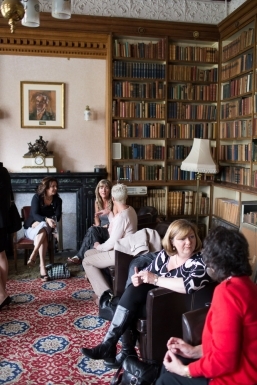 The CGs can organise talks and other events which allows parents to meet and share information and the groups are always open to new members. Each of the CGs nominates two representatives onto the Parent Representative Association (PRA) which meets with the headmaster five to six times a year. Any of the CGs can raise issues that are of concern to parents in that year and these PRA representatives can update the next CG meeting on matters discussed at the PRA meeting. In addition the headmaster can receive feedback from parents on different issues. Parents can review the Building Parent-College Partnerships document for more details on the topics that the CGs and the PRA deal with.